The Urban Heat Island effect describes the relatively higher temperatures found in urban areas compared with rural surroundings, and is the result of several different factors. Building materials that absorb heat, the loss of moisture in the air due to reduced vegetation and paving over soil, as well as sources of heat, such as traffic, can all contribute to the Urban Heat Island. URBAN RIVER REHABILITATION – The POLIS programme established, as main goals, the improvement of life quality, through urban and environmental interventions, increasing attractiveness and competitiveness in the national urban system. Since the rehabilitation programme favoured the creation of public open space, water played an important role in the choice of the intervention sites. Among the projects sites included intervention on the river and river corridor. The study demonstrated that the river did have a significant cooling effect, especially at higher ambient air temperatures. It led to an average reduction of 1°C during temperatures higher than 20°C. Cooling only occurred during the daytime and ranged from 0.25 to 1.82°C. The effect was also greater in May (between 1.01-1.82°C), rather than June (between 0.25-0.98°C), which was thought to be a result of higher water temperatures in the summer months. The cooling effect did not extend beyond 30 metres from the river and was negligible at 40 metres. However, at shorter distances, the amount of cooling was significantly affected by urban form. Streets which were open to the river, combined with river banks with more vegetation, led to more effective cooling, which was sustained over a greater distance. For example, in an open street cooling was 1.2°C greater than a closed street. The researchers conclude that rivers do have cooling effects and that future policies to uncover underground rivers could be of value in urban environments where high temperatures can have a negative effect on health and wellbeing. However, they stress that urban form surrounding the river corridor is more important than the simple presence or absence of a river and that cooling effects can be greatly enhanced by careful consideration of urban design. The article is convincing but on the photos the rehabilitation looks like a contribution to a desert creation, destroying a small wild “ripisylve” to put grass and sticky trees ! You might find the latest post more encouraging! Tales of the Riverbank: Vidzeme, Latvia river regeneration….which is work done by one of the project partners. the Images you are referring to were taken from a paper – Saraiva M.G, Ramos I.L, Vaz L, Bernardo F, Condessa B. 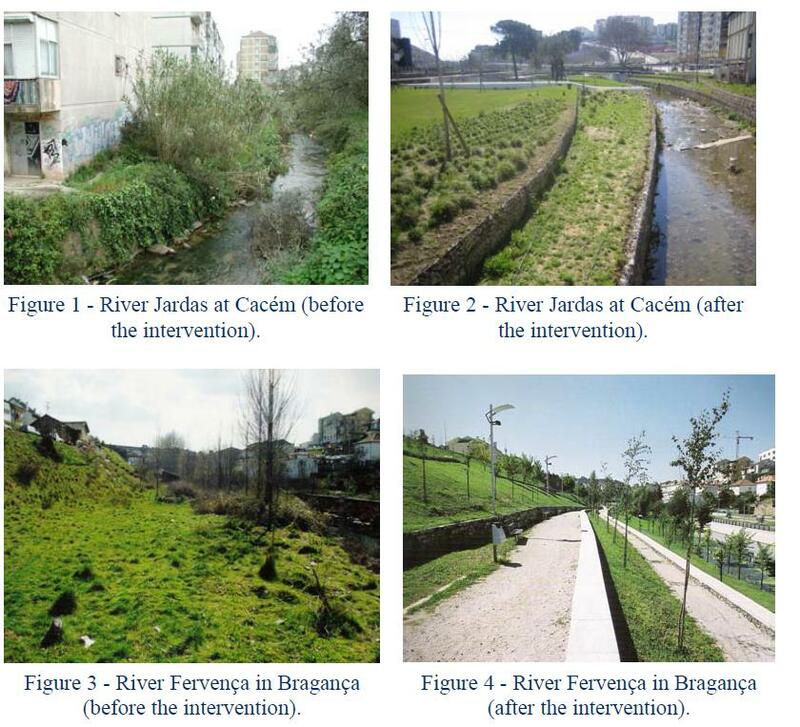 TOWARDS SUSTAINABILITY IN REHABILITATING URBAN RIVER LANDSCAPES. CROSSING ECOLOGY WITH SOCIAL CONCERNS – which illustrated work on the POLIS programme some time ago….NOT by Waterways Forward partners.